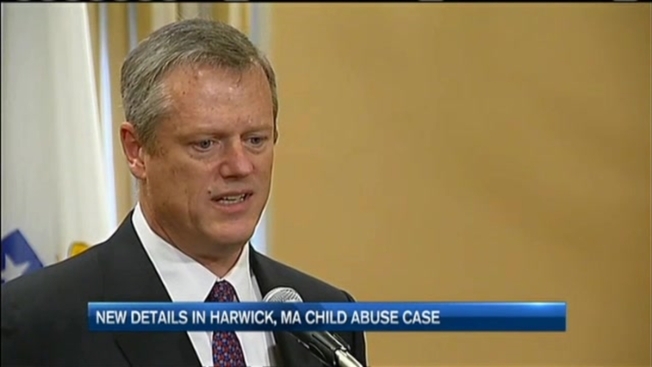 Massachusetts Governor Charlie Baker says he is asking the same questions we are all asking. What happened to 7-year-old Jack Loiselle? How did he go from a bright-eyed boy to the frail child incubated in a Springfield medical center? Jack was airlifted to Bay State Medical Center on July 14 after his father, Randall Lints, says he found him unconscious in his room in Hardwick on July 14. Investigators say Jack weighed just 38 pounds with bruises and blisters on his body. They have charged 26-year-old Lints, an unemployed former roofer, with beating and starving him. Baker insists Jack did not fall through the cracks. The Department of Children and Families says the family has been voluntarily receiving services from the state agency and that a counselor had seen jack and his father three times in recent months and that a social worker saw him just two weeks before he was rushed to the hospital. Necn has learned Lints apparently has at least two other children- A two-year-old boy and a 6-month-old girl with another woman. According to a request for child support she filed in May, the children were living at the same address as where Lints allegedly abused Jack.